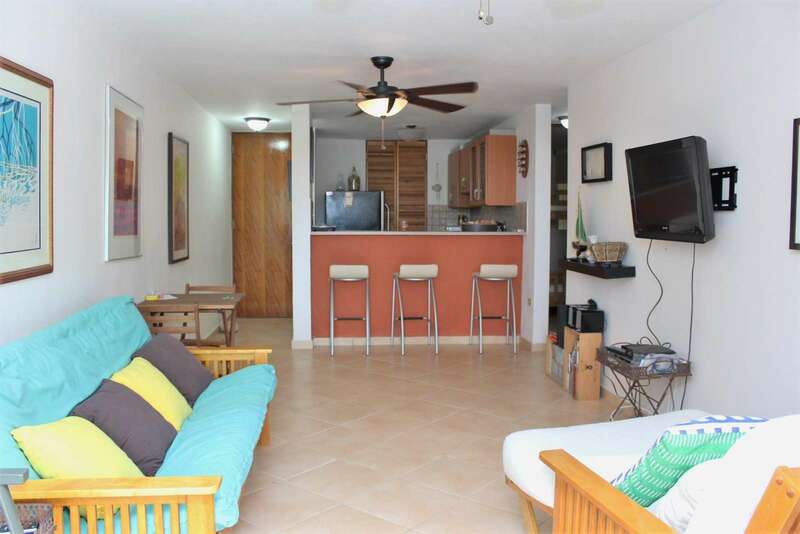 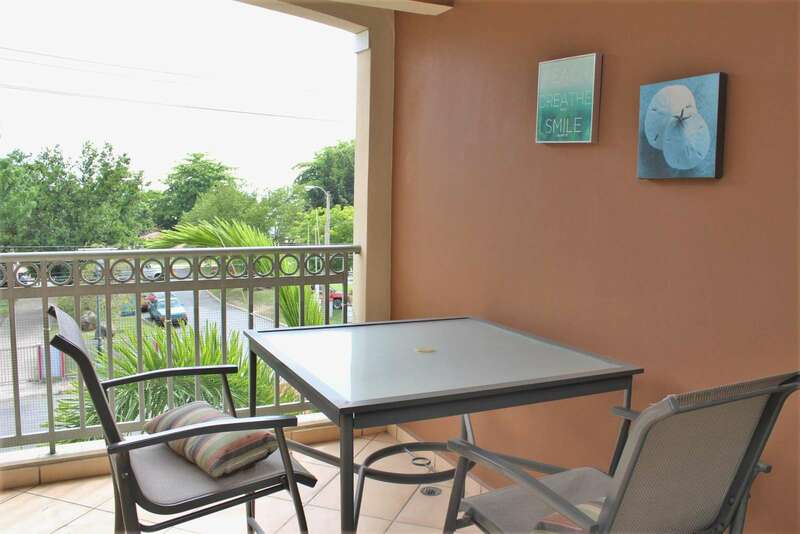 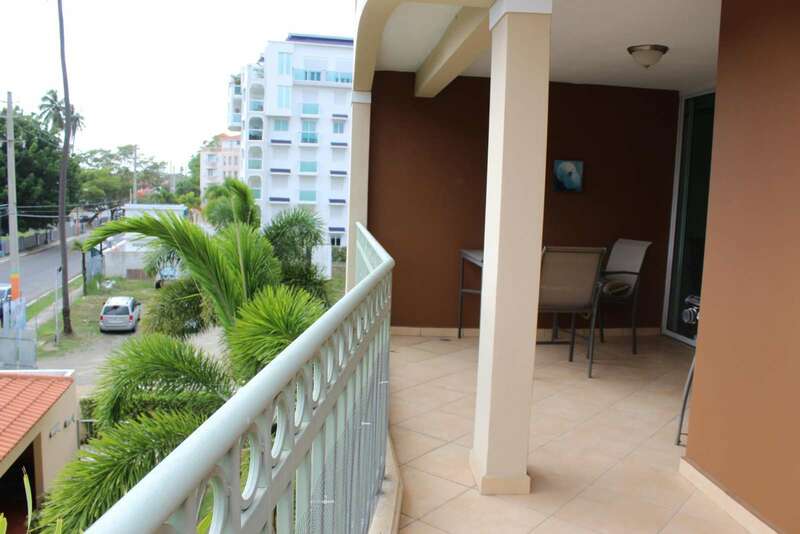 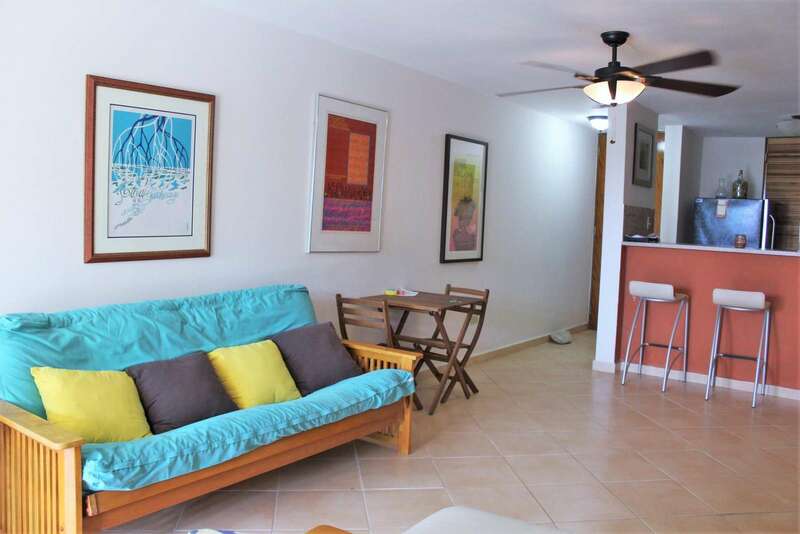 Two bedroom condo, sleeping up to 5 people with 2 baths and private balcony with ocean view. 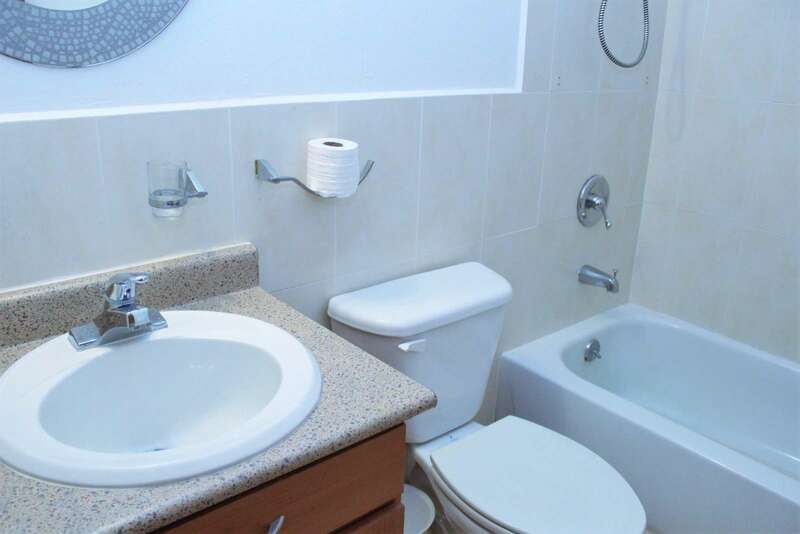 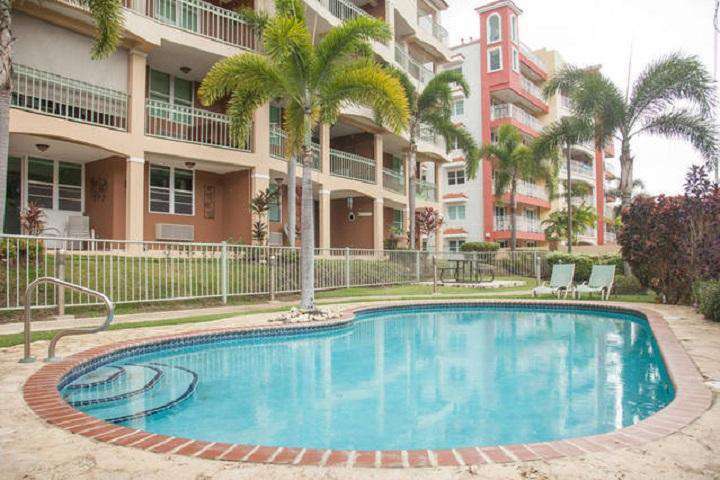 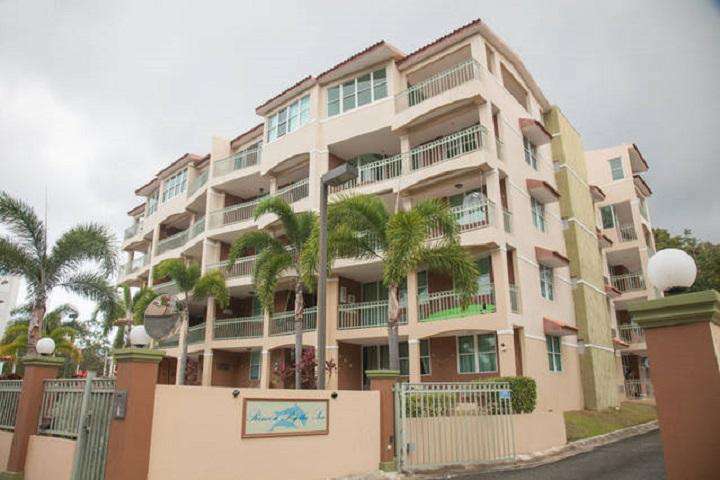 Condominium has gated entry, swimming pool and two parking spots. 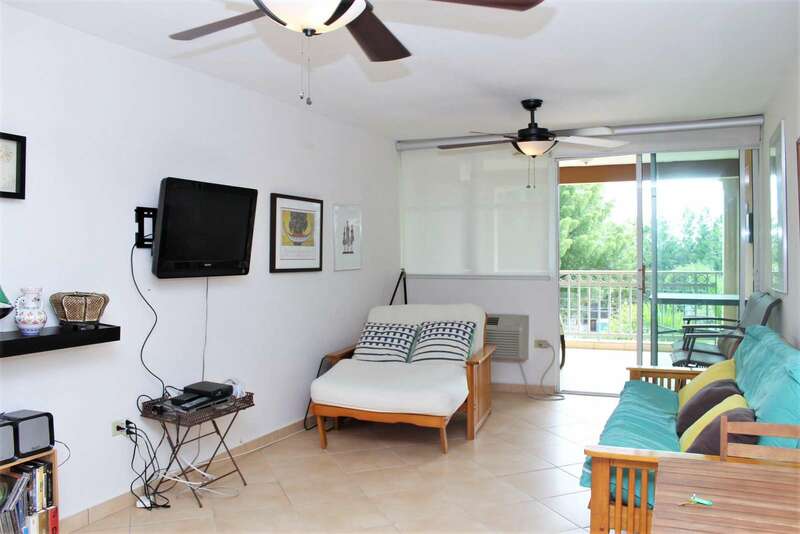 Amenities include cable TV, WiFi, A/C, beach towels and beach chairs. 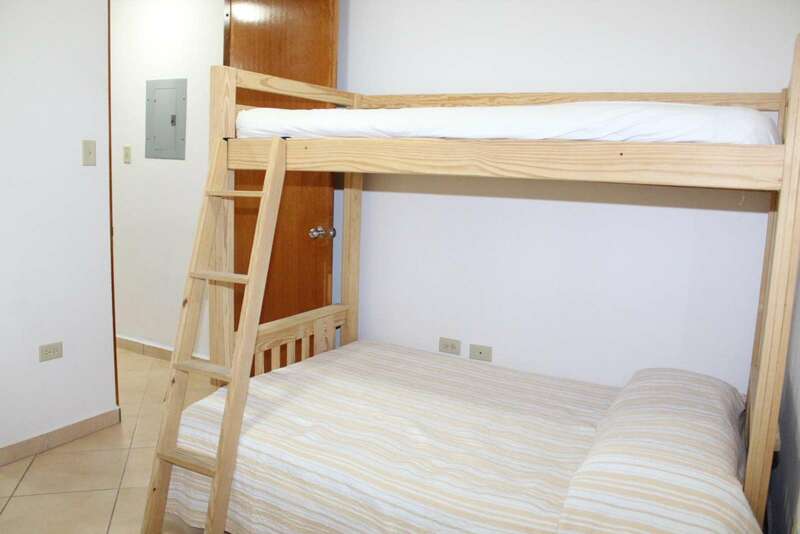 Located on a 3rd floor, there is an elevator in the building for easy access. 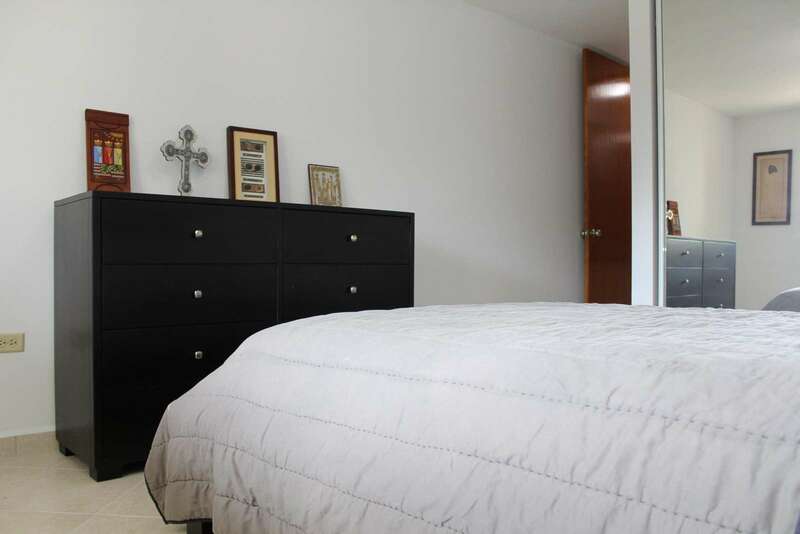 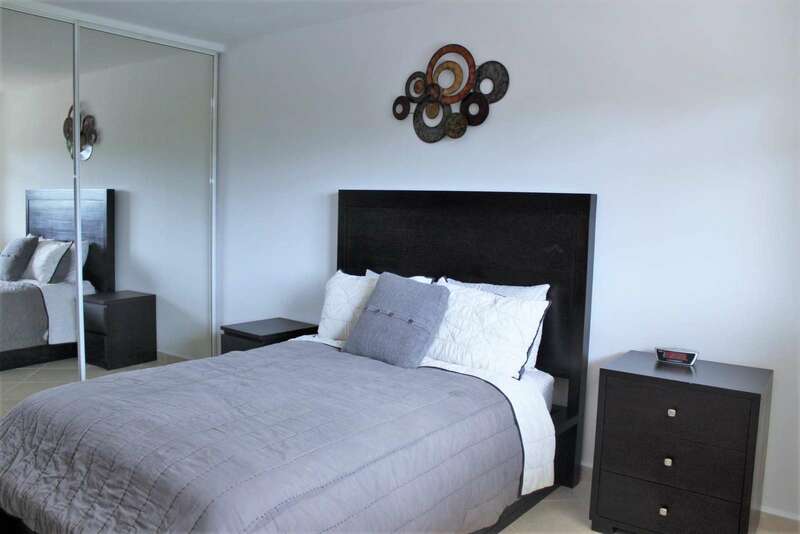 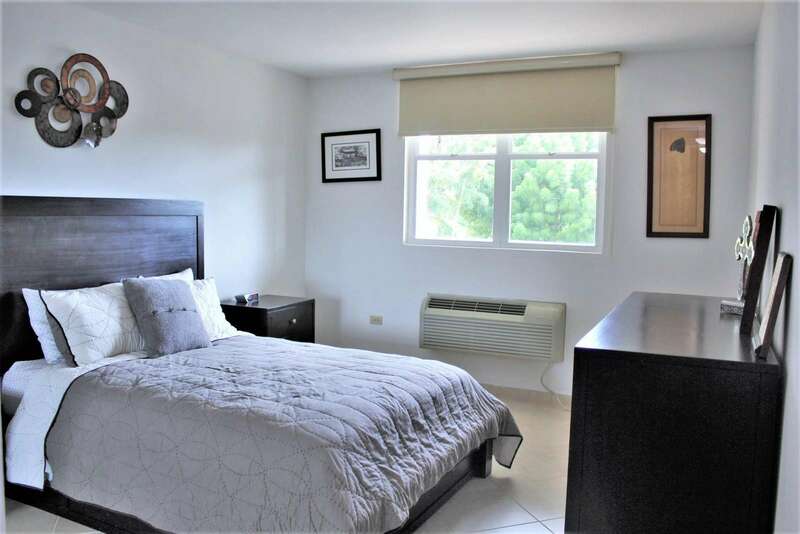 Master bedroom has a full-size bed and a private bathroom. 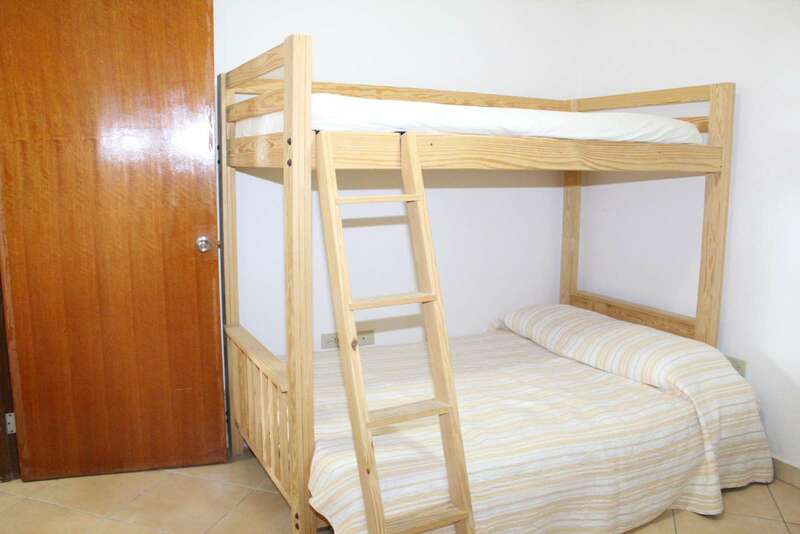 The second bedroom has a bunk bed (Full and Twin). 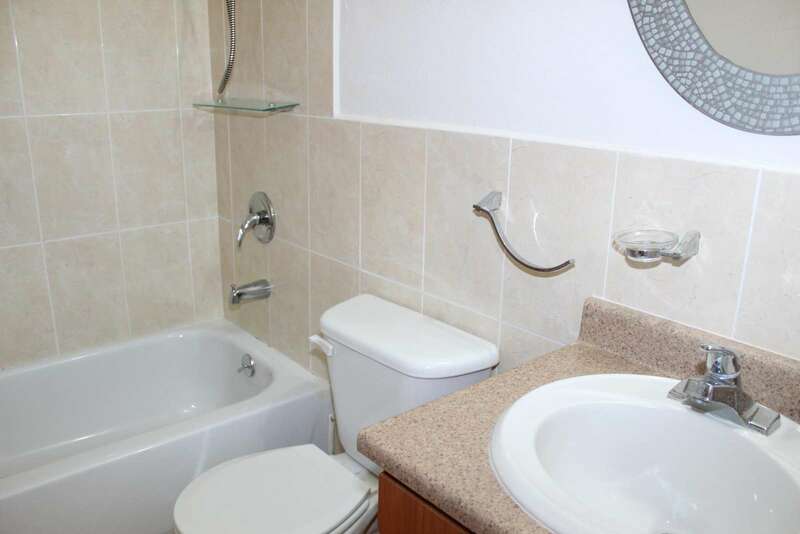 There is a full bath in the hallway. 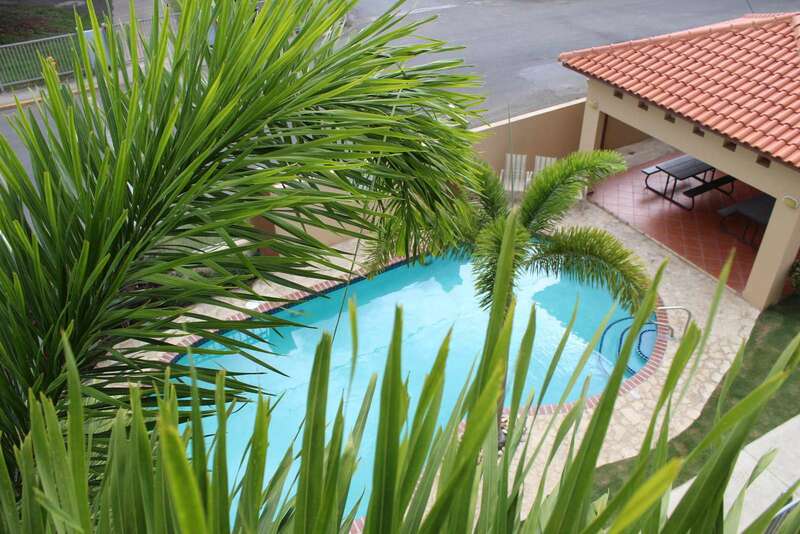 The swimming pool area has a gazebo which is great for spending the day too. 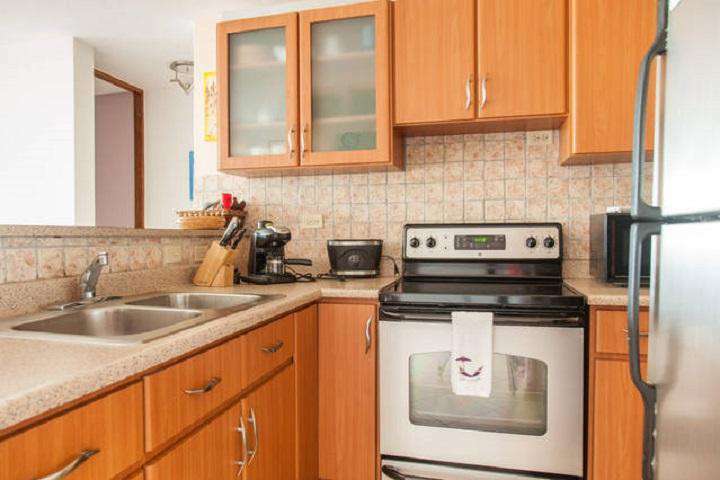 The beach is just across the street. 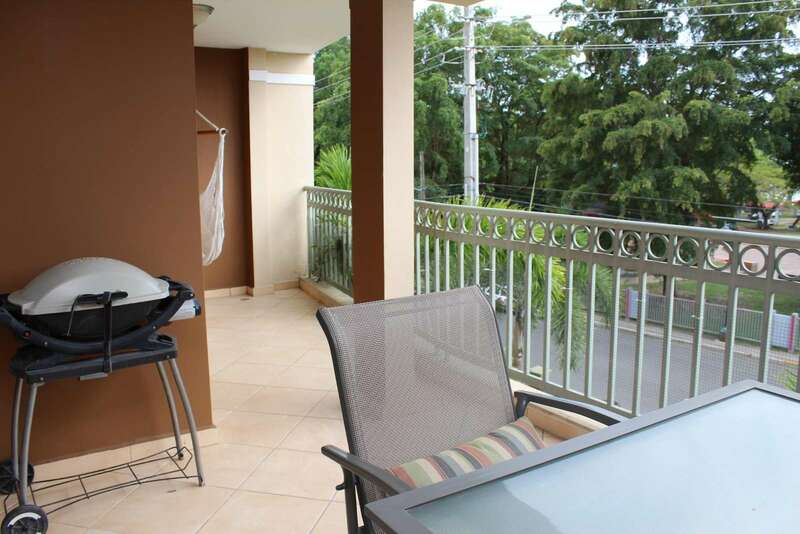 Very convenient location walking distance from town, bars, restaurants, and shops.